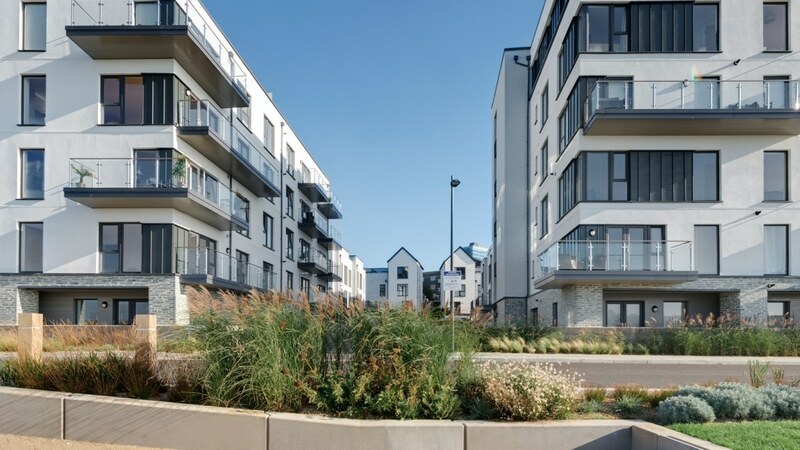 HTA's award-winning design for Millbay Plot A1 creates a new public waterfront for Plymouth, and delivers 102 quality homes in a fantastic dockside location. which are accessed directly from the West Hoe Road two stories up. 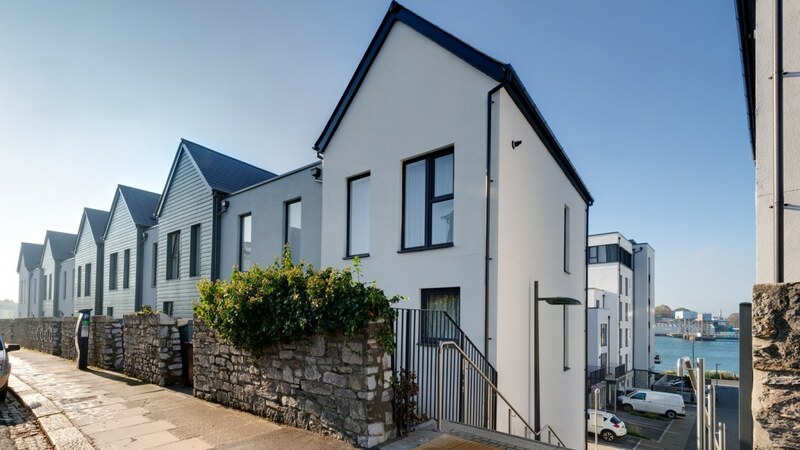 A new public stairway runs through the housing to create a connection from the West Hoe Road to the dockside, and provide a new route for the public to access the waterside. 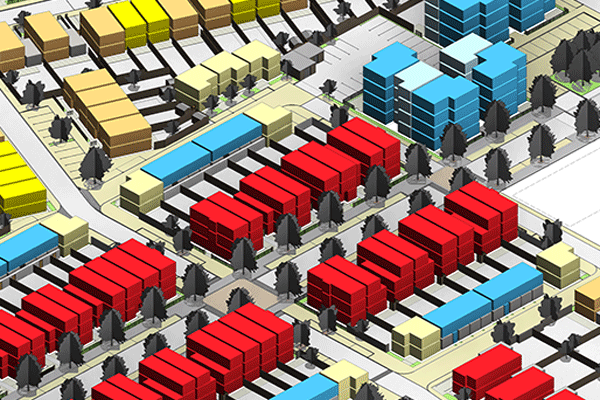 Deploi were engaged to support HTA in a twin track proof of concept exercise to assist the developer in assessing the value of pursuing projects using BIM techniques. 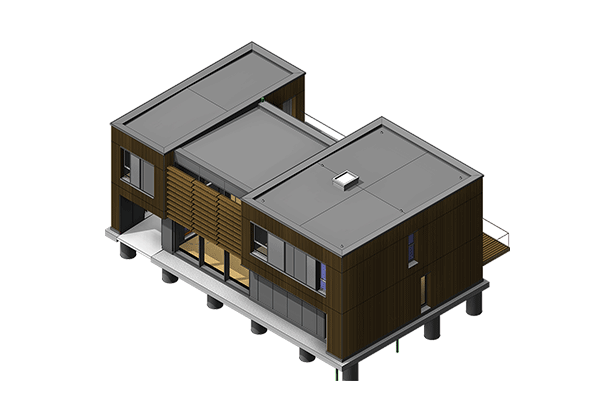 This is involved building detailed Revit models of all 9 buildings using the detailed information produced by the Architects using traditional 2D CAD. 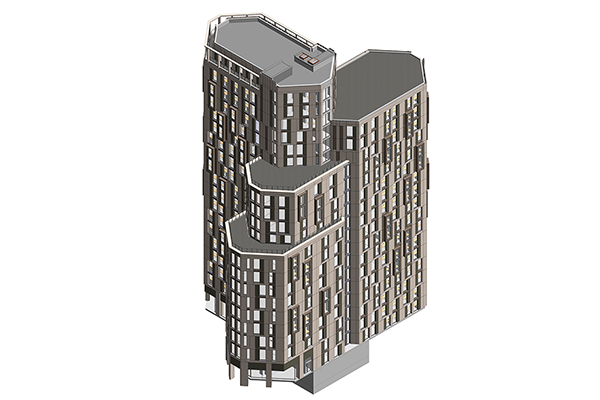 The results of the analysis were very positive leading the client to draw positive conclusions informing their ongoing policy and for HTA to subsequently embark on a BIM adoption with full enthusiasm. 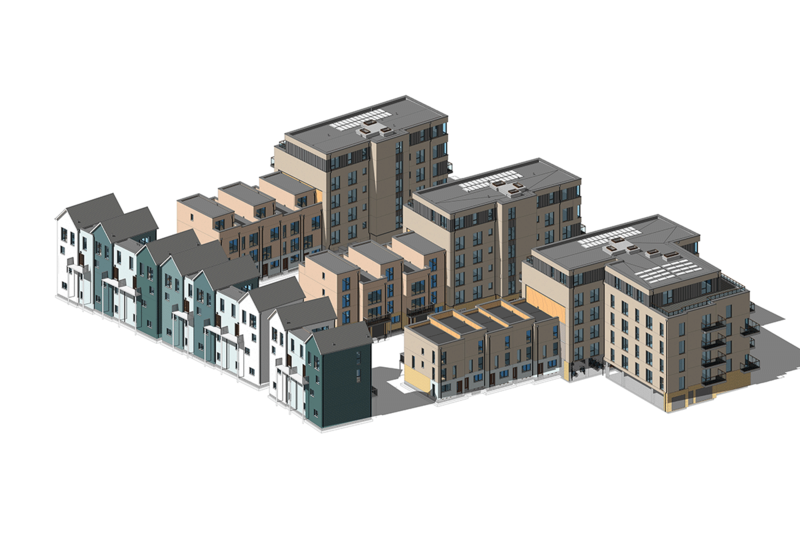 The BIM models were used as a byproduct to generate working drawings for the final tranche of the scheme representing a third of the whole scheme.